Our 2019 UK Cultural Tour will be a three day visit to the Midlands, departing on 11 April 2019. We stay two nights at the centrally located 4* Crowne Plaza Birmingham City Hotel. Facilities at the hotel include a restaurant, bar and a gymnasium. All rooms are en suite and feature a hairdryer, television, telephone and tea & coffee making facilities. Dinner is included in our hotel on the first evening, and the remaining night is on bed and breakfast basis. 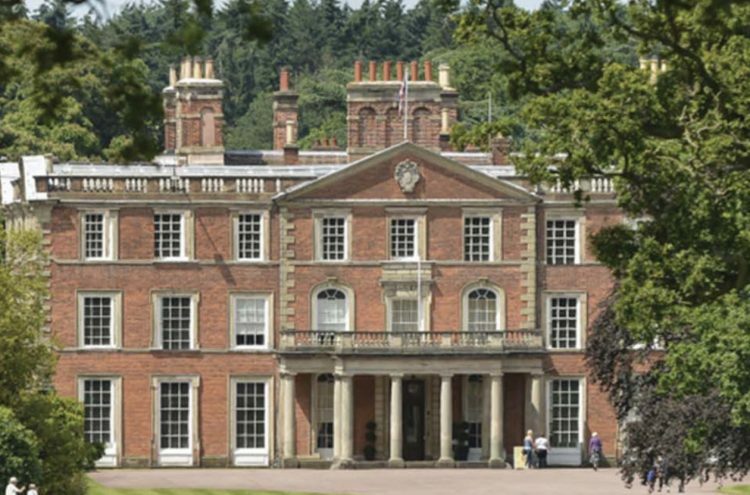 We depart in our executive coach from our designated pick up points and en route to our hotel we visit Weston Park in Shropshire. Set amidst the breathtaking Capability Brown Parkland, Weston Park is the ancestral home of the Earls of Bradford. The house boasts an internationally significant collection of furniture and many famous paintings, including works by Van Dyck, Gainsborough, Lely and Stubbs. We continue to the centrally located 4* Crowne Plaza Birmingham City Hotel for a two night stay. Dinner is included in our hotel this evening, and the remaining night is on bed and breakfast basis. Our Blue Badge guide meets us at our hotel this morning and accompanies us throughout the day. This morning we have a guided tour at the Birmingham Museum & Art Gallery, home to a fine collection of Pre-Raphaelite paintings, Renaissance masterpieces and 9,000 year old Middle Eastern treasures. During our visit we discover the story of the Staffordshire Hoard, the largest ever discovery of Anglo Saxon gold. Hundreds of pieces from the Hoard are on show at the museum, alongside displays that explore how these intriguing items were used, before they were buried some 1400 years ago. This afternoon we visit the Barber Institute for a guided tour, introducing us to a fine selection of works by artists such as Monet, Manet, Renoir, Rubens, Rodin and van Dyck. After checking out of our hotel this morning we enjoy a guided tour of the Museum of the Jewellery Quarter, depicting the history of Birmingham’s renowned jewellery and metalworking heritage. We continue to Aston Hall for a guided tour of the Grade I listed Jacobean house, designed by John Thorpe and built between 1618 and 1635. We then return to our original pick up points, taking carefully selected comfort stops en route. The cost is £349 per person. A single room supplement costs £89. Other costs include insurane of #24 per person and gratuities. The brochure and the booking forms are available here. You can also view the tour online by clicking here, then select View Your Tour at the top right hand side, and then enter fyld191 into the box. Alternatively, you may also pick up a booking form at any of the lectures – please see Nigel Bramley-Haworth.